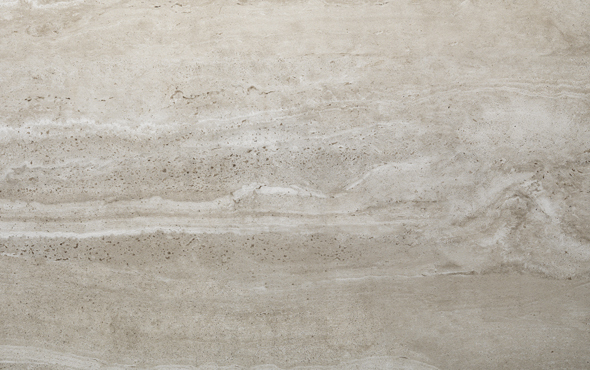 The darkest of our travertine-effect porcelain tiles, these 10mm Grey Travertine tiles have a brooding, storm colour that is sure to bring a touch of contemporary style to any indoor space. 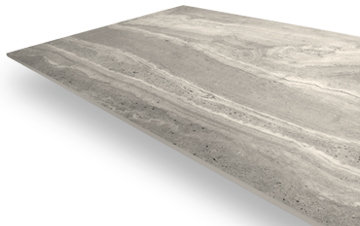 With a beautiful marbled, textured appearance that offers the look of natural stone, you will not go wrong when choosing these tiles for your interior space. 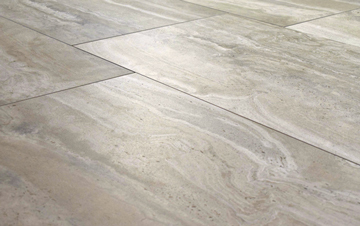 Measuring at 60cm x 120cm each, these Grey Travertine tiles are suitable for a number of interior designs. 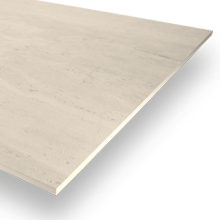 As a result of their 10mm thickness, they do require a more traditional installation method using a suitable adhesive. All of PrimaPorcelain’s products are given a Grip Factor rating between 1 (very low slip resistance) and 5 (very high slip resistance). With a rating of 3, this product provides enough grip to be used in relatively high-moisture interiors such as bathrooms and kitchens. 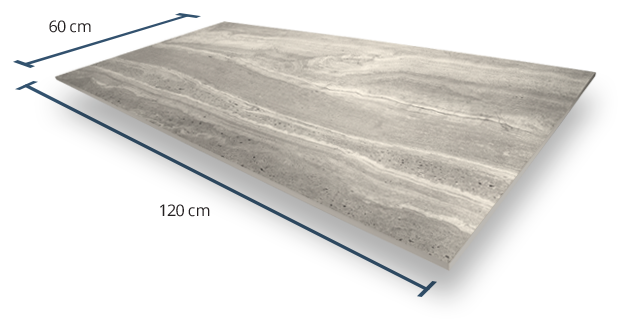 A V3 Shade Variation rating means that between each individual Travertine Grey tile, noticeable differences in colour will exist. This creates an attractive, variegated look that can be used within a number of different living designs. 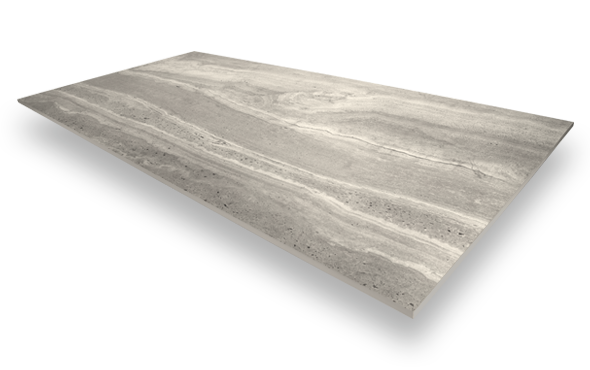 Created with a fine textured finish, this product not only offers the same beautiful aesthetics of natural stone products, but also provides enough slip resistance to be used within many interior environments.